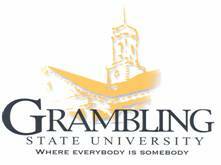 ROAR is an orientation program designed to help new students make a smooth transition from high school to college life at Grambling State University. When you arrive at ROAR, you will meet your ROAR staff leaders who will acquaint you with the ins-and-outs of being a new student at GSU. During ROAR you will obtain your fall class schedule, scope out the campus, and meet your fellow classmates. You will also meet with faculty and administrators, take necessary placement exams, and declare your major if needed. You will leave ROAR with a better understanding of college life and will be prepared for the fall semester.